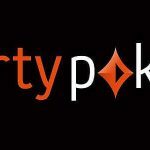 A new player panel has been set up at Party Poker as a means to improve the lines of communication between management and its growing base of loyal players. 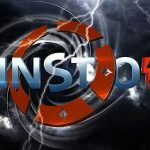 That player base has been mighty pleased with the changes implemented at Party Poker in recent times and this new step is a continuation in that direction. The poker room appears to be on a mission to regain its hold as the top poker site in the world, a distinction it held prior to passage of the UIGEA in 2006 that prompted Party Poker to voluntarily withdraw from the US market. 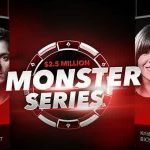 The player panel will be manned by Party Poker ambassadors such as Sam Trickett, winner of $10 million for a 2nd place finish in the $1 million buy-in Big One for One Drop in 2012; Ike Haxton, a former PokerStars Team Pro who last month won the Super High Roller Bowl for $3.6 million; and Fedor Holz, the German wunderkind who has cashed for more than $32 million in his illustrious poker career. We have assembled a highly qualified team that contains some of the most respected and experienced poker players in the world. Included among those respected players are Patrick Leonard, Jason Koon, and Party Poker chairman Mike Sexton. Koon won an incredible $12.4 million on the live tournament circuit in 2018, while Sexton is among the most recognizable faces in poker thanks to his many years of commentating on broadcasts of the World Poker Tour. While the panel will act as a go-between among management and players, it will also have a say in a number of hot button issues such as the use of heads-up displays (HUDs), fairness, collusion, game ecology, proper etiquette at the poker tables, and enhancement of Party Poker software. The player panel will also develop policies and procedures for live and online action, as well as recommend improvements for the continued success of the Party Poker LIVE poker tour. During the era of the poker boom that started in 2003 following the WSOP Main Event victory of Chris Moneymaker, who won his seat in the event via an online satellite, Party Poker was the most popular poker site worldwide. Regulation changes within the US saw Party Poker exit the market in 2006, while PokerStars elected to remain and subsequently took over the no. 1 ranking. 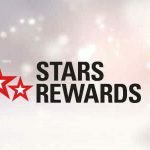 Several missteps by PokerStars in recent years have been highly criticized by players, resulting in breakdowns in communication that included at least a couple of organized player strikes. Party Poker has been trending in the opposite direction of late – upward in the eyes of many – apparently learning from PokerStars’ mistakes. The new player panel continues in that vein as a means for players to have a say in the molding and shape of Party Poker.